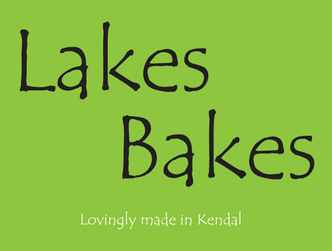 Lakes Bakes of Kendal is a new brand of traybakes. butter in our products. As we are local we can keep our transport prices down giving you a quality product at great prices. All butter shortbread made to a classic Scottish recipe smothered with a generous layer of smooth caramel and chocolate topping containing real Belgian chocolate. A white chocolate version of a classic. with a drizzle of chocolate. I’m really happy to announce that we will be stocking Sin (Gluten Free Goodies). All are unportioned but yield at least 12 or 15 depending on your portion size. A bouncy loaf cake soaked with lemon drizzle delivering gorgeous moistness and zingy flavour. Traybakes are from just outside Penrith, we have dealt with them for years. The traybakes are simply great! A rich oat bar made with golden syrup. Belgian chocolate, mars bars and rice crispies. A rich moist traditional fruit cake made with plump vine fruits and topped with flaked almonds. A chunky flapjack slice made with pure oats, dried cranberries and pecan pieces.